A solid approach to decision-making is through the use of analytical models, such as the 5 Ps, 3P, and DECIDE. Good decisions result when pilots gather all available information, review it, analyze the options, rate the options, select a course of action, and evaluate that course of action for correctness. In an emergency situation, a pilot might not survive if he or she rigorously applies analytical models to every decision made as there is not enough time to go through all the options. Under these circumstances he or she should attempt to find the best possible solution to every problem. For the past several decades, research into how people actually make decisions has revealed that when pressed for time, experts faced with a task loaded with uncertainty first assess whether the situation strikes them as familiar. Rather than comparing the pros and cons of different approaches, they quickly imagine how one or a few possible courses of action in such situations will play out. Experts take the first workable option they can find. While it may not be the best of all possible choices, it often yields remarkably good results. The terms “naturalistic” and “automatic decision-making” have been coined to describe this type of decision-making. The ability to make automatic decisions holds true for a range of experts from firefighters to chess players. It appears the expert’s ability hinges on the recognition of patterns and consistencies that clarify options in complex situations. Experts appear to make provisional sense of a situation, without actually reaching a decision, by launching experience-based actions that in turn trigger creative revisions. Although more experienced pilots are likely to make more automatic decisions, there are tendencies or operational pitfalls that come with the development of pilot experience. These are classic behavioral traps into which pilots have been known to fall. More experienced pilots, as a rule, try to complete a flight as planned, please passengers, and meet schedules. The desire to meet these goals can have an adverse effect on safety and contribute to an unrealistic assessment of piloting skills. All experienced pilots have fallen prey to, or have been tempted by, one or more of these tendencies in their flying careers. 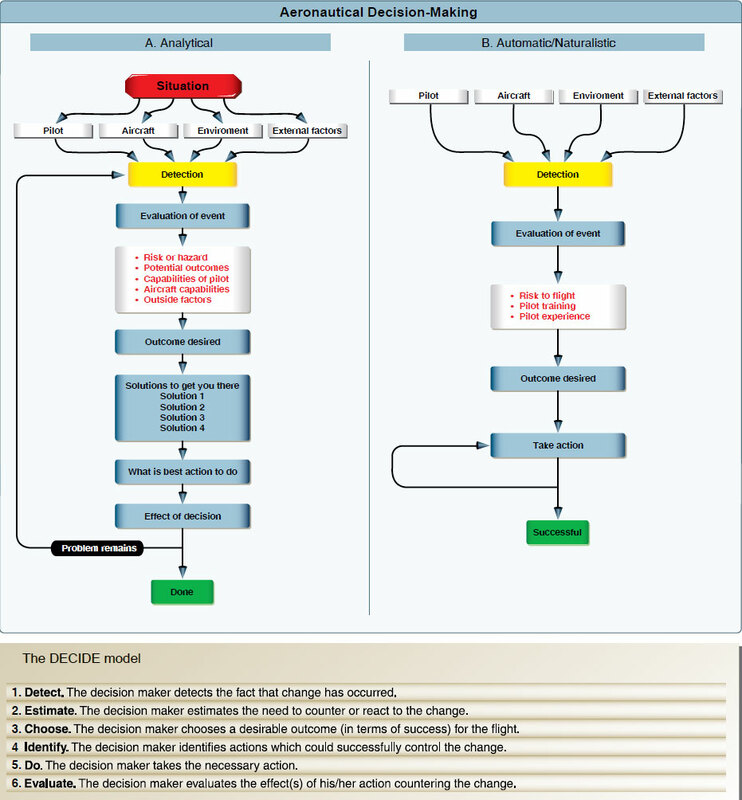 These dangerous tendencies or behavior patterns, which must be identified and eliminated, include the operational pitfalls shown in Figure 2-15. Everyone is stressed to some degree almost all of the time. A certain amount of stress is good since it keeps a person alert and prevents complacency. Effects of stress are cumulative and, if the pilot does not cope with them in an appropriate way, they can eventually add up to an intolerable burden. Performance generally increases with the onset of stress, peaks, and then begins to fall off rapidly as stress levels exceed a person’s ability to cope. The ability to make effective decisions during flight can be impaired by stress. There are two categories of stress—acute and chronic. Factors referred to as stressors can increase a pilot’s risk of error in the flight deck. [Figure 2-16] Remember the cabin door that suddenly opened in flight on the Mooney climbing through 1,500 feet on a clear sunny day? It may startle the pilot, but the stress would wane when it became apparent the situation was not a serious hazard. Yet, if the cabin door opened in IMC conditions, the stress level makes significant impact on the pilot’s ability to cope with simple tasks. The key to stress management is to stop, think, and analyze before jumping to a conclusion. There is usually time to think before drawing unnecessary conclusions. Figure 2-16. System stressors. Environmental, physiological, and psychological stress are factors that affect decision-making skills. Also, the process of a verbal briefing (which can happen whether or not passengers are aboard) can help the PIC in the decision-making process. For example, assume a pilot provides a lone passenger a briefing of the forecast landing weather before departure. When the Automatic Terminal Information Service (ATIS) is picked up, the weather has significantly changed. The discussion of this forecast change can lead the pilot to reexamine his or her activities and decision-making. [Figure 2-17] Other valuable internal resources include ingenuity, aviation knowledge, and flying skill. 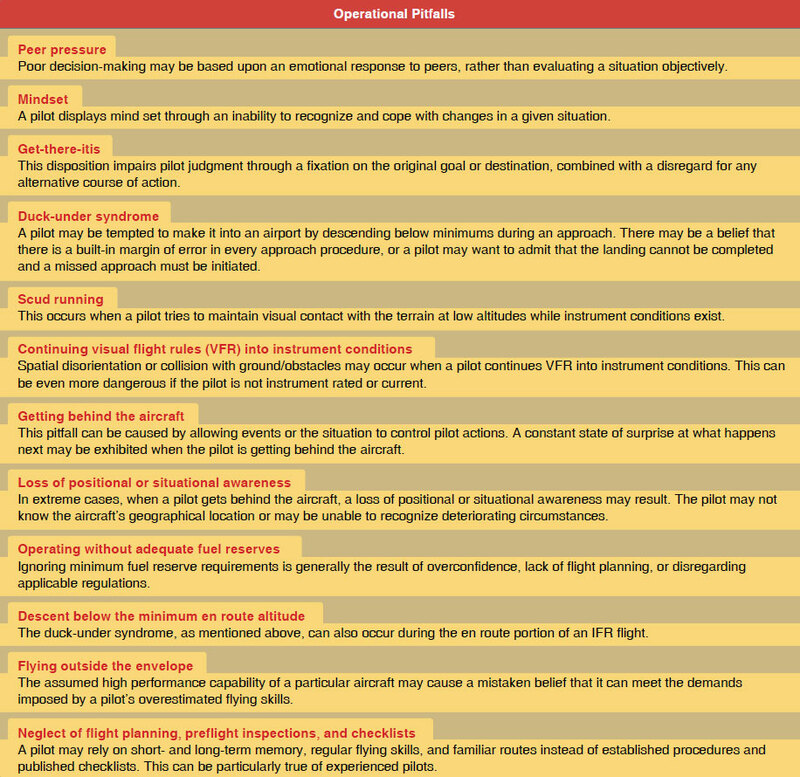 Pilots can increase flight deck resources by improving these characteristics. Figure 2-17. When possible, have a passenger reconfirm that critical tasks are completed. Checklists are essential flight deck internal resources. They are used to verify the aircraft instruments and systems are checked, set, and operating properly, as well as ensuring the proper procedures are performed if there is a system malfunction or in-flight emergency. Students reluctant to use checklists can be reminded that pilots at all levels of experience refer to checklists, and that the more advanced the aircraft is, the more crucial checklists become. In addition, the pilot’s operating handbook (POH) is required to be carried on board the aircraft and is essential for accurate flight planning and resolving in-flight equipment malfunctions. However, the most valuable resource a pilot has is the ability to manage workload whether alone or with others. ATC and flight service specialists are the best external resources during flight. In order to promote the safe, orderly flow of air traffic around airports and, along flight routes, the ATC provides pilots with traffic advisories, radar vectors, and assistance in emergency situations. Although it is the PIC’s responsibility to make the flight as safe as possible, a pilot with a problem can request assistance from ATC. 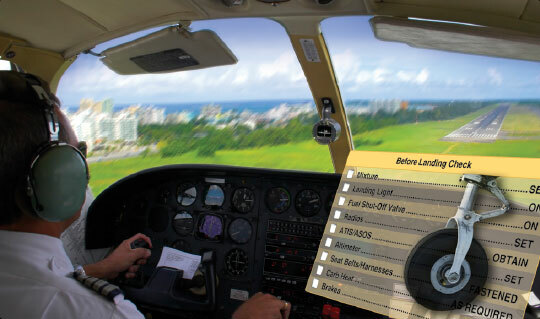 [Figure 2-18] For example, if a pilot needs to level off, be given a vector, or decrease speed, ATC assists and becomes integrated as part of the crew. The services provided by ATC can not only decrease pilot workload, but also help pilots make informed in-flight decisions. Figure 2-18. Controllers work to make flights as safe as possible. 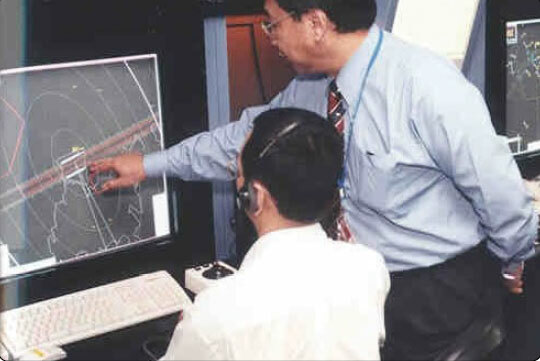 The Flight Service Stations (FSSs) are air traffic facilities that provide pilot briefing, en route communications, VFR search and rescue services, assist lost aircraft and aircraft in emergency situations, relay ATC clearances, originate Notices to Airmen (NOTAM), broadcast aviation weather and National Airspace System (NAS) information, receive and process IFR flight plans, and monitor navigational aids (NAVAIDs). In addition, at selected locations, FSSs provide En Route Flight Advisory Service (Flight Watch), issue airport advisories, and advise Customs and Immigration of transborder flights. Selected FSSs in Alaska also provide TWEB recordings and take weather observations.